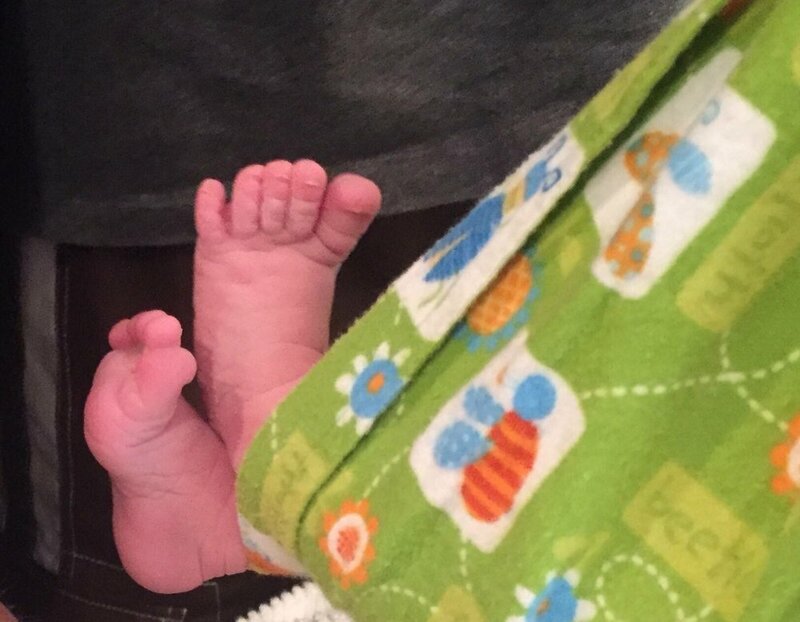 Blogging about birth, breastfeeding, and postpartum care from a doula's perspective. As birth workers, we tend to get this question all of the time, "what do we do during the early phase of labor? "Many times, whenever labor begins, especially with first time parents, we feel the need/urge/desire to time every contractions, contact our family members, start bouncing on our birth ball, stay up all night, and do everything we can to get the baby out QUICKLY. Three words.....DON'T.DO.IT. When I was in high school, I was on the track team and I remember, in particular, a guy named Oliver. He was a football star, had dreamy green eyes and muscles for days. Because he was a star athlete, Oliver thought that he could excel in ANY sport. He tried out for the track team and made it. Oliver's was placed in the 1600 meter and he thought he knew exactly how to pace himself for it. Even though his coach advised him against it, he would sprint, as fast as he could, right off the block, passing everyone on the first lap. On the second lap, you would see him lose steam and by the time the fourth and final lap came around, he was limping to make it to the finish line. That happened in three consecutive track meets. Oliver never made it to the fourth one. You've heard the old adage "Birth is a marathon" and, indeed, it is. It takes time. Lots of it. And patience. And rest. And letting go of expectations. So what are some things that an excited, adrenaline- fused mom to do in early labor? I'm glad you asked! If you start feeling contractions at night, REST, REST, REST as much as you can. Your body is used to resting at night, so it is imperative to rest and sleep through as much as you can. Can't sleep? Then take a bath or shower. The key is to "Rest Smart." You will probably not get the best night's sleep, so get into a comfortable resting position and sleep in between your contractions. Continue doing life during the day. Please do not sit on your couch all day long and hit the "START" button every time you have a contraction. Once active labor begins, you will need to pay closer attention, but during the early phase, resist the urge to hyper focus. Typically, a laboring mom does not have a huge appetite. It is so important for your body to have fuel throughout your labor. IT IS A MUST. Eat several small meals instead of 3 big meals and make sure to hydrate. Your body needs the reserve. As a doula, I cannot stress this enough. Your birth is very sacred and it is a special bonding time for you and your partner. Be careful who you invite it. We hear all the time from second-time parents, " this time we don't want ANYONE in the labor room." In fact, we have many parents who say in subsequent births," we will tell our parents and friends AFTER he/she gets here." Many have lived the scenario of grandma, grandpa, random cousin, and snoring uncle in the labor room. It is a hot mess. As labor progresses, mom will want less distraction, noise, and stimuli. It is hard for labor to continue smoothly with everyone staring a mom like a monkey in a zoo. Trust me, if you have the whole crew, or even a well-meaning grandma or two, it can often times be distracting and have less-than-desirable effects. The best scenario is you, your partner, and your birth team. I have been in situations where a family member of the new family posted on their page or feed the "big news" BEFORE the new family had the chance to do so themselves. Focus on one another and your new babe, not on 4 or 500 of your "best friends" waiting on the latest update. Nothing can be more annoying than the constant "bing!" notifications. Everyone will find out soon enough, no reason to rush. This is your birth, your baby's big day. Your body will be working to bring your little one earth side. This is the big day that you have been waiting for. Give in. Let it happen. Work with your body, not against it. Breathe. Relax. Work. Love. Enjoy. Rest.
" How can I find a good pediatrician? Can I interview them before I choose them? What questions should I ask when I interview them? " These are some of the questions that we get asked by our clients when trying to choose a pediatrician. Indeed, it is a smart idea to interview pediatricians before choosing one. Also, it is best if you can choose one by the eighth month of pregnancy, that way things are set in place and you feel less rushed. So how do you go about finding a pediatrician? Check with your friends, your family, your OB/Midwife, and doula for recommendations. Often times, care providers and doulas even have a list of recommended pediatricians to hand out. Remember- pediatricians are VERY busy. When you call the office, ask if they do Meet-and-Greet consultations. Often times, they will give you a 15 minute appointment, so ask the most important questions first. Not all pediatricians have time to do Meet-and-Greet consultations beforehand, so you may have to wait to ask the pediatrician certain questions at your initial visit with baby. Remember, every pediatrician practices differently, just as every parent "parents" differently- go with your gut when choosing the pediatrician that is right for your family. And remember - nothing is set in stone once you choose your pediatrician. As time goes on, differences may come up- it's ok to change pediatricians down the road. How soon after delivery do you visit my baby? What hospitals do you have privileges? What is your schedule for immunizations? Are you flexible if I decide to delay some vaccines? Do you have a separate room for sick and well children? Do you offer evening or weekend appointments? What about same-day appointments? What is your philosophy about treating babies? Do you agree with attachment parenting or more of a “cry it out” approach? What is your philosophy about antibiotics and other medications? What is your view on circumcision? How are phone calls handled in your office? Are they always triaged by the nurse? Will they return my phone call within 24 hours? How are after hours phone calls handled? Do I receive a call from the on-call pediatrician or from a nurse line? Do you charge for after hours calls? What is your stance on breastfeeding? Bottle feeding? Do you have Nurse Practitioners or Physician Assistants in your practice? If so, how often do I see them versus the pediatrician? Was the office staff friendly, helpful, and professional? What was the wait time like? Was the waiting room clean? Did the doctor seem open to your questions? Did the communication feel natural? I recently walked into an elevator and took the third floor up to the postpartum floor of a hospital. I walked down the hall and opened the door to the room I was instructed to go into. I had come by to pick up a placenta. "Knock, knock..," I called out. I slowly opened the door and there sitting on the bed is the new mom....in tears. I immediately introduced myself and give her a big hug. "Congratulations! Are you ok?" I ask. She looked up at me with swollen, tired eyes and said, " I'm not sure I can do this." I sat down and we talked for a bit. I found out that she had an unexpected c/section because of complications. Of course, the birth was not what she had expected. She and her husband had taken the Bradley classes, they did their research, they read every book that had been suggested, they even took extra breastfeeding classes. She felt that all of their "prep work" was for naught. She felt cheated. I had never meant this precious lady before I walked foot through the door. I didn't know her history, her desires for her birth. I just wanted to hug her and tell her that everything was going to be ok. But was it? It was evident how devastated she was. I didn't want to just play "Pollyanna" and pat her on the shoulder and say, "Well, at least you have a healthy baby." Instead, I sat with her and listened and allowed her to decompress a bit. I didn't have the answers or even pretend to, I just listened. After 30 minutes, we said our goodbyes, and I told her I would see her tomorrow to deliver her placenta pills; however, I felt horrible leaving that room. I was hoping that she and her husband had the help and support they were going to need. I prayed that she was going to be surrounded by encouraging friends and family, but who knows, right? For me, leaving new parents behind that don't have the extra support of a doula can be gut-wrenching. Ever since our practice started offering placenta services, I have been a part of this scenario many times. You see, not everyone that hires us for placenta services, hires a birth or postpartum doula, so these new parents are left to their own devices. Studies show that women that hire doulas have fewer c/sections and less chance of postpartum depression, amongst a myriad of other benefits. So am I saying that doulas are lifesavers? Absolutely not. Can parents have a good birth and postpartum experience without a doula? Yes. On the flip side, can parents have better birth experiences and healthier postpartum recoveries WITH doula support? You better believe it. Doulas do NOT have all the answers, nor should we ever try and come across that way, but we can help you navigate through the choppy waters of pregnancy, birth, and postpartum care. And you know what? Just having someone there telling you, " you are doing a GREAT job!" goes a long way with new moms. Or just having someone that you can process your birth with goes such a long way. We are there, along with your care providers, as part of the team. Wouldn't it be wonderful if all new families had doula support? Along with the care that the families receive from their midwife or physician, having the extra support from a doula, as well? Contrary to what some believe, we are not just "foot rubs and back massages;" however, that IS in our "bag of tricks" if mom needs one! 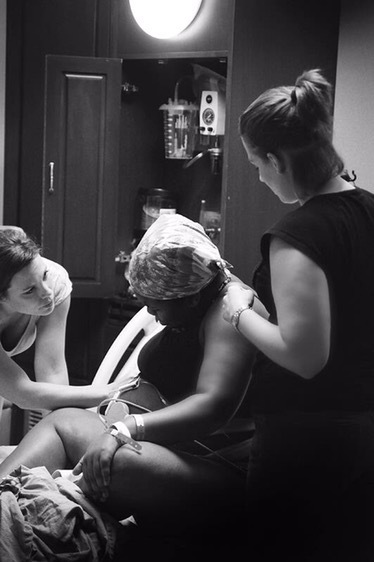 Can you imagine if EVERY mom had doula support? 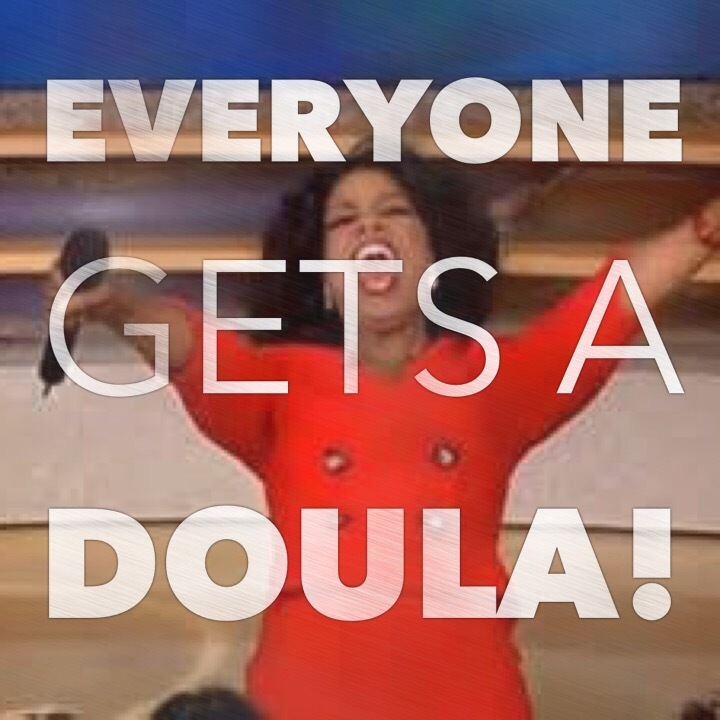 There is definitely a "doula trend" in the country. More and more women are seeking out the support of a doula and, in turn, families are having better experiences with birth and recovery. In a country where there is a high c/section rate, minimal maternity leave, paternity leave is virtually non-existent, and postpartum depression is through the roof, we need as much help and support as we can get. Something has to change. So how can you help? How can you make a difference? Spread the word! If you had a wonderful experience with a doula, tell your friends, your family, your co-workers. Most of our business is referral based and that, my friends, far exceeds any advertising or SEO plan out there. Educate those out there that don't have a clue as to what a doula is. Or if you are pregnant and considering a doula, do your research! Find a doula that would be the perfect "fit" for you. She ( or he- yes, he!) is out there, I promise! As we continue to do "placenta pick-ups" at hospitals and birth centers, my hope would be that, as time goes on, there would be less and less families out there that don't have doula support of some kind. In my heart, I believe that EVERY woman deserves a doula and that no one should be left behind. I am a doula and I NEVER had a natural birth. Recently I had a mother of a client ask me how many natural births I personally have had. I responded, "none." She looked completely dismayed. "Oh, well, how many vaginal births have you had?" I responded once again with, "none. " She couldn't believe it. " How in the world can you be a doula? ?," she asked. I was 23 years old when I was pregnant with my first. I was also a practicing nurse at the time. I knew my options. I knew I wasn't comfortable with an external version. I couldn't financially afford chiropractic care and acupuncture. I knew that I was headed for a c/section. And I was ok with my decision. Has my decision from almost 18 years ago had an impact on my parenting? Absolutely not. That little frank breech baby boy is now an AP student with high hopes of playing college football. He has a heart of gold. He buys lunches for his buddies that can't afford it, he drives them home after practice because their parents are working. He takes a carload to church with him every Sunday. I have poured my heart and soul into that boy and he makes me so proud. At 25 years old, I became pregnant again. 15 years ago you were hard-pressed to find a VBAC-supportive doctor. I didn't have any complications with my first c/section and after much thought and consideration, I decided to do a repeat c/section. It was definitely a harder recovery, especially chasing after a toddler. That 15 year old girl that could have been a VBAC is my talented artistic child. She has an incredible voice and loves listening to records and making music videos. She is fiercely loyal and has a sense of humor that keeps us on our toes. I love that kid. What makes my c/sections different than some other moms who have had c/sections? I felt fully informed and I knew my options at the time. People ask me if I would handle things differently now. Perhaps. But all I know is I made the best decisions for my family and I at the time. So the question goes back to, "Since you never had a natural vaginal birth can you REALLY be an effective birth doula." My answer? Absolutely. My job as a doula is to inform clients of all of their options. One of the first things I tell potential clients is, "Your goals are my goals." Birth is completely unpredictable. And you know what? Sometimes a c/section is a medical necessity. It has been a huge comfort for my clients that have had a c/section to know that I have walked their path. I know the pain, the recovery, the disappointment. But I also know that it makes me no less of a doula, much less a parent. To say that someone can't be a doula because they haven't had a natural birth is also saying that a doula isn't effective because they haven't had an epidural or a c/section. Bottom line is doulas are here to support moms that have experienced all types of births. Moms need to know that we are there , without judgement, without ego, to support them where they are at. Your Partner's Labor Bag: What Should They Really Pack? Once you all get to the hospital, one of the first things they will ask for is insurance information. Sure, mom may have pre-registered, but no system is perfect and they may ask for it again. They will also need an ID of some sort. Last, make sure you have some dollar bills in your wallet in case you need to make a vending machine run. If you hired a doula, she probably created a birth preferences ( I hate the word "plan") sheet with you. Make a copy beforehand to put in your bag to give to the nursing staff. Although we HIGHLY suggest that partner's stay off their phones as much as possible during labor, we realize that sometimes it needs to be communicated to family members that mom is at the hospital. Make sure that a contact list has been created beforehand so that those that need to be notified can be notified quickly and efficiently. We suggest that the number of people notified be extremely small. The last thing you guys need to be munching on is a Whataburger hamburger with extra onions. Instead, think ahead and pack some (non-smelly) snacks. Protein bars, almonds, fruit, peanut butter crackers are great options. Make sure to include drinks- bottled water, Gatorade, even Starbucks VIA Ready Brew instant coffee packs are a good option. 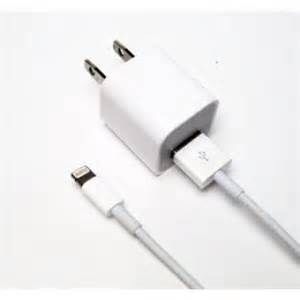 There have been countless times when partners have asked us, " Um....I forgot my charger. Can I borrow yours?" Birth is a process and it can take hours. Your phone's battery WILL die if you don't bring back-up. Buy a cheap phone charger and block and stash it in your bag. As the hours press on, your breath will start to sour. I hate to tell you that but it will happen. A laboring woman's senses are heightened and smells that would not typically bother her, will now. Don't stress mom ( and you!) out by breathing funk into her face. Stick a pack of gum in your bag for good measure. Mom may want to spend some time in the shower/ tub during labor. Before labor began, she may have thought that the idea of you jumping in the shower with her was ridiculous, but now? Now she may be pleading with you to jump in the shower and do the hip squeeze during contractions. Be a prepared scout and bring a bathing suit just in case. Ending up with sopping wet jeans is no bueno. Attention all of you hipsters out there- I know it is in your hipster contract to look especially cool all the time, but this is a whole 'notha level here. Mom will be walking, moving, squatting, and doing frequent positional changes, especially if she has a doula. She will need your support and strength. Keep your wingtips at home and wear comfortable shoes and clothing. Pack an extra set of clothes just in case the ones you come in get messy. During labor, mom's temperature will fluctuate. Do NOT adjust the thermostat for your comfort. Instead, pack a light jacket or hoodie for yourself. You will never get this big moment back again, so bring a camera to snap pictures. Don't have a camera? No problem! Smart phones take phenomenal pictures nowadays. Yes, you may be in a facility (hospital or birth center) that has medications, but they cannot give you medicine if you have a headache. Pack a small bottle for yourself, just in case. This is the most important thing you can bring to the birth. As mentioned before, birth is a process and can take hours. The last thing mom needs is a grumbling partner. A bad attitude will only cause her to stress out and effect her labor in a negative way. Hearing a partner say, "how much longer? This is taking FOREVER!" will only discourage mom and make her feel like she is an inconvenience to everyone. Instead encourage her, love on her, help her in any way she asks. After all, she is working hard to bring life into this world and needs your love and support. Best wishes on your big day! "Well, I did it again. I didn't pee for, like, 12 hours and I got dehydrated. Now I have the UTI from hell!" Unfortunately, that is a conversation that I have had with my husband one too many times after a birth. I forget to take enough bathroom breaks, I forget to stay hydrated, I forget to stretch, I forget to pack snacks. Bottom line, I forget to take care of myself. It is much easier to take on the role of caretaker versus being on the receiving end. Over the years, I have learned, albeit through trial and error, that I have to take care of myself if I want to continue to do this long-term. Did you realize that the average span of a professional doula is less than 2 years? Experience our profession for a short while, and it will make perfect sense. Step in our shoes during a "marathon birth" and experience the joy and emotion of watching a mom meet her baby for the first time after 36 hours of intense, hard work. But realize with that comes a sore back, amniotic -fluid -soaked clothes, a dehydrated body that hasn't slept a wink in over 24 hours, and feet that are so sore that the feeling in them is basically gone. That doesn't even include all the prenatal and postpartum visits and support, call/text/email support, and education. Yep, doula life. So what is a doula to do to make it easier to maintain this crazy, unpredictable lifestyle? You have to take care of YOU. You get "the call" and it looks like you will be heading to a birth within a few hours. What is a doula to do? Let's face it, most births tend to be in the late night hours. You are going to need to bring your A-game, so take a nap for a hour or two, if possible. You don't want to come into a birth dragging your feet if you can avoid it. It really is a bummer when you show up to a birth and realize that you are out of something that you promised a client. Make a checklist, mental or on paper, and go through it before heading to your client. To be completely honest, there have been a few times when I wouldn't tell my husband or kids that I had a client in early labor. I felt like if I told them, it would bring them down. So I would wait, and wait, annnnd wait and then, BOOM, gotta go guys! That would end up being more traumatic to them than if I was just straightforward with them from the get-go. Ok, lesson learned. This is the tricky part. After all, it's all about the mom in labor, right? Well, I like to use the "airplane example." You have to put the oxygen mask on yourself first, before you put on the oxygen mask of your child. In other words, you have to take care of yourself in order to care for others. Don't show up in your prom dress. Ok, so no doula in their right mind will really show up in a formal gown ready for a birth, but you shouldn't be "dressed to the nines," either. Now granted, there may be a situation where you have to get to a birth unexpectedly and you are dressed in heels. In that situation you just have to deal, but take that as a lesson and realize that it is a good idea to always keep an extra set of "doula clothes" in your car. Dress comfortable but professional, as well. Don't show up in pajama bottoms and crocs. Also realize that you will be doing a lot of bending and stooping and nobody wants to see your cleavage or tramp stamp. So be mindful! We tell our doula clients to pack healthy snacks and we should do the same for ourselves. Nothing is worse than heading to the vending machine and noticing the only thing left is expired Dinty Moore Beef Stew. Ick. Going back to the introductory paragraph of this blog, I have dehydrated myself a time or two ( or 10) during a birth. I have done much better over the past few years. You have to make sure and empty your bladder ( and other business) when needed. My doula partners are awesome. We check on each other frequently if we know someone is at a birth. "Do you want me to bring you a coffee or something to eat? "Or on occasion it's,"you have been at a birth how long?? Do you need one of us to cover you for a little bit?" If possible, set it up so that you can have that "go to " person available. If you need to sit for a bit, do it! Sometimes we get it stuck in our head that we are only helpful when we are up and moving. Not true! You can still support mom and partner while rocking on a birth ball or sitting in a chair. Stretch, do a few yoga poses, rock in a chair for a few minutes. Protect your back! It is really hard to be an effective doula if we end up practically folded in half. I will tell you that I have left many births feeling like the Hunchback of Notre Dame. Let's say that you have been with a client for many hours and everyone is exhausted and you are starving. Mom decides to get an epidural and everyone becomes comfy and starts sleeping. I used to feel extremely guilty if I took a cat nap. Honestly, I still struggle with it. But let's be honest, doulas are not super human. If mom and partner are asleep and getting some much needed rest, take a break. Let your client know, of course, that you are going to step out and get something to eat. Maybe you have an opportunity to take a cat nap close by. It is ok! After some rest, you and your client will have the energy and focus to finish things out. Woohoo, your adrenaline is pumping , your heart is full, and you have tears in your eyes. You just witnessed the miracle of birth. We have the coolest job EVER! And then, BAM , you hit a wall on the way home and you wonder if you will be able to make it home .I have stood in an elevator before ,staring at the buttons. "What floor did I park on....?? I don't think I can keep my eyes op...en..."
Ok, so I'm not going to tell you that it is the most comfortable napping situation, but maybe take a quick nap in the car. As doulas, we have learn to sleep anywhere and everywhere- a 7-11 parking lot, parking garages, chairs, hospital couches, yoga mats, rest stops, the list goes on and on. Make do with what works. My doula partners and I know that we can call each other if we need to talk, just so we can stay awake. Set it up so that you have someone you can call, no matter the time, if needed. It is also a good opportunity to decompress. Talking can be much more appealing than cranking up MC Hammer on the radio and putting the A/C on sub-zero temperatures (although sometimes this situation needs to take place, too!). Much like a mom, you will use muscles during a birth in places where you didn't know there were muscles. Maybe you had to do the life-saving hip squeeze through 5 hours of contractions. Set up a massage appointment in the days following the birth. Work out the kinks, take a breather, relax! Check out a foot spa. Those places are popping up everywhere and people are loving them. Give those barking dogs a break and show them some love. Take a day or two off to recover. Because of the emotional and physical toll we take on at each birth, we can become exhausted to the core. Climb into bed, get a sitter to watch the kids for a couple of hours, and nap or Netflix! If you need to move a client appointment or two to make that happen, do it! They should understand and want a healthy doula. Hydrate and follow up with good, wholesome food. Let's face it, the "Nutrition Room" in hospitals are not very nutritious. Graham crackers and saltines with the occasional Popsicle is not exactly mind-blowing, healthy fare. Our bodies tend to pay for the "birth food" later. Fill up on some protein, grab a healthy salad, or some fruit when you get home. I tell people this all the time, if you don't have a supportive partner or family, you will not survive as a professional doula. Doula life is so unpredictable. Doulas are always on-call, cancelling events last minute is the norm, friends may see you as flaky. It is a hard lifestyle. If you come home and start feeling the heat from your family, as well, it can be emotionally and physically draining. Take time to reconnect with your family. Make sure that you don't over-do it. As your practice grows, you will start to get busier and busier. Friends will refer friends, doctors and midwives will send their patients your way, SEO is paying off. 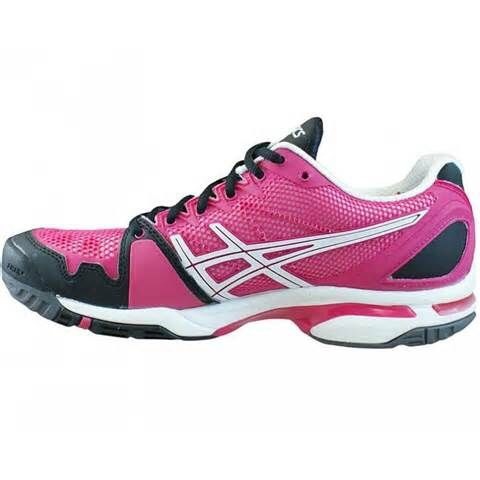 Awesome, right?? Not if it is at the expense of your family. Family first, guys. No ifs, ands, or buts about it. This is a balance that only YOU can decide. One doula's work/life balance may be 2-3 clients a month, another doula's work/life balance may be 5-6 clients a month.It is an individual decision. Sit down with your partner and family and talk about what is doable. Make sure that there is enough of "you" for both your clients and your family.